Over the past few months I have been slowly working my way though my gear to ready myself for an upcoming 5-6 week hike on the West Australian Bibbulmun Track. One of the pieces of equipment that I had spent a fair amount of agonising over was my lightweight thermal insulated jacket and while I have always been a down jacket fan my concern was that over a long distance hike I needed something that was going to keep me warm if it ended up getting soaked. Today’s modern down jackets are pretty amazing and are designed to keep you warm when they get wet however while I’m willing to risk it on shorter hikes I wanted some piece of mind for an extend trip when I’m still likely to get some rain. 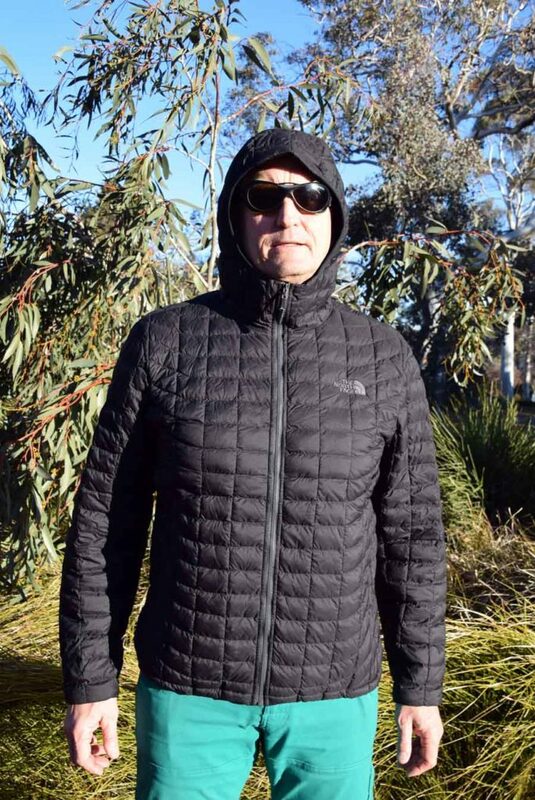 I literally spent months trawling websites and stores checking different options and trying various jackets on before I finally decided that my jacket of choice was going to be the Thermoball Hoodie Jacket and here’s why. 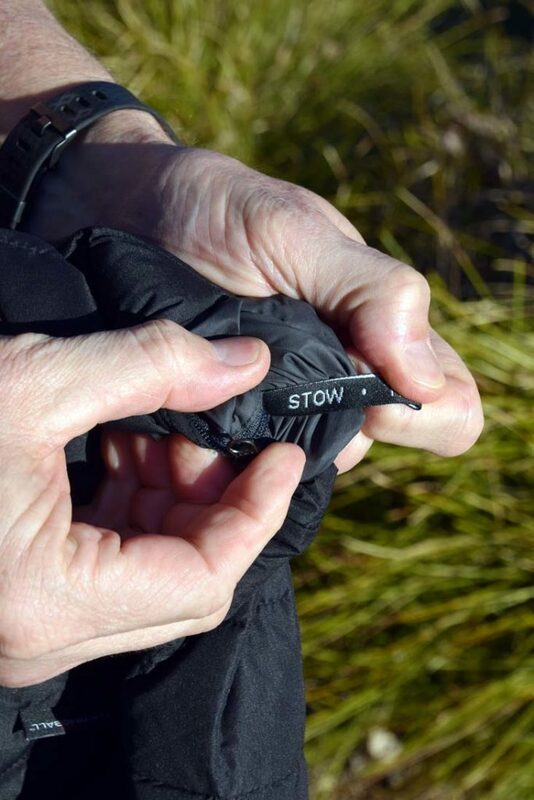 The first time I put this jacket I had only just just taken of my lightweight Mont Neon Down Jacket and straight away noticed the difference. Firstly there wasn’t that ‘poofy’ feel that a down jacket provides and this new jacket just felt ‘denser’ and as a result I assumed that it was heavier. When I compared the weights of both of these jackets the Northface Theromball hoodie was lighter by all of 3grams. One of the main reasons that I chose this jacket over other synthetic jackets on the market was the comfortable feel. I usually find that with most mens tops that they tend to run on the short side in relation to sleeve length and overall body length. In this case the arm length was very comfortable and covered me all the way down to the wrist. 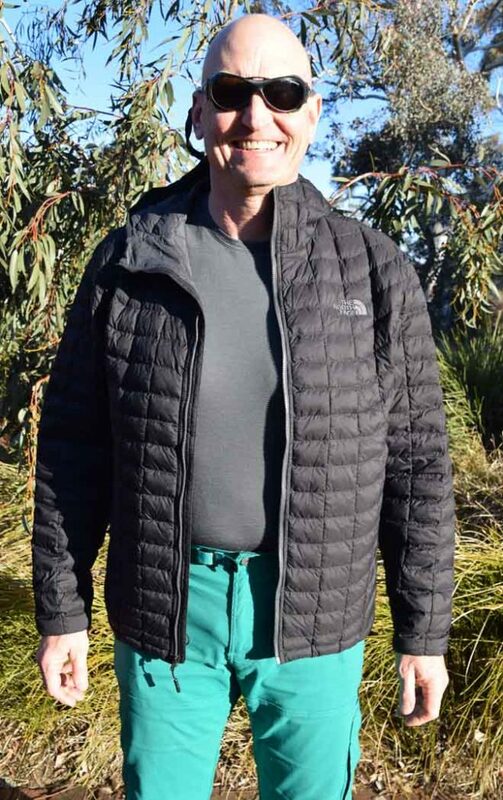 In addition the jacket came about half way down my backside and once I had adjusted to waist synch cord I didn’t get that gust of air up my back as I do with many shorter jackets on offer. One thing that I would say about this jacket compared to a down jacket is that is that down moulds to the body better to fill in any air gaps. However when I recently took this jacket out in temperatures just over -7°celsius (an apparent temperature of -11.7° celsius) with only a single wool layer underneath I was toasty warm. Usually I would need 4 layers so I must admit I was surprised that I was so warm. What’s very different for me with this jacket is that it has a permanently attached hood. While I’m ‘follically’ challenged I have never bothered with hooded jackets to date preferring to keep my head warm with a wool buff if needed. In this case the hood is growing on me and as a winter time jacket I know I’m going to appreciate it. Speaking of insulation properties the Northface Thermoball Hoodie Jacket uses a synthetic insulation (Primaloft¸® Thermoball insulation™). This and other high grade synthetic insulations are designed to mimic the function of natural down and trap air to retain warmth even when wet which if you are going to out in wet conditions is the way to go. I have worked outdoors for a majority of my life in cold (not snow) environments so have a reasonably good cold tolerance. Depending on the weather, I will have one to two layers underneath and if its really cold, my Marmot PreCip Nano Jacket as an outer shell to form part of my layering system. I will continue to use this in the winter and wet conditions saving my lightweight down jacket for times when I know it’s going to be dry or I dont want the hood. 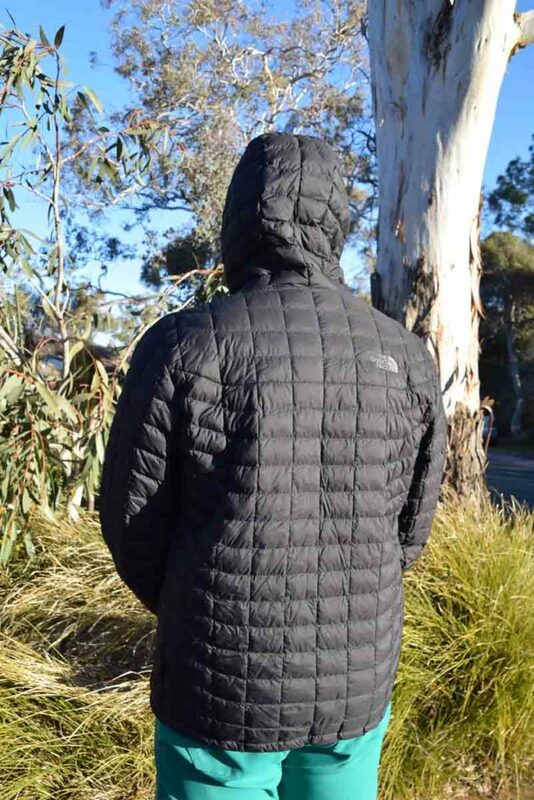 At full price this jacket is a bit expensive at $370 AUD but having said that you aren’t going to find high grade lightweight synthetic jackets much cheaper. This jacket is an investment and providing you don’t grow out of it not will last for many years as the outer shell is 15 diner which doesn’t sound like much but when compared to its competitors it’s very robust. Size wise I usually wear an XL in most jackets having a broad chest and shoulders but found that the XL was just to big for me so opted for the large. 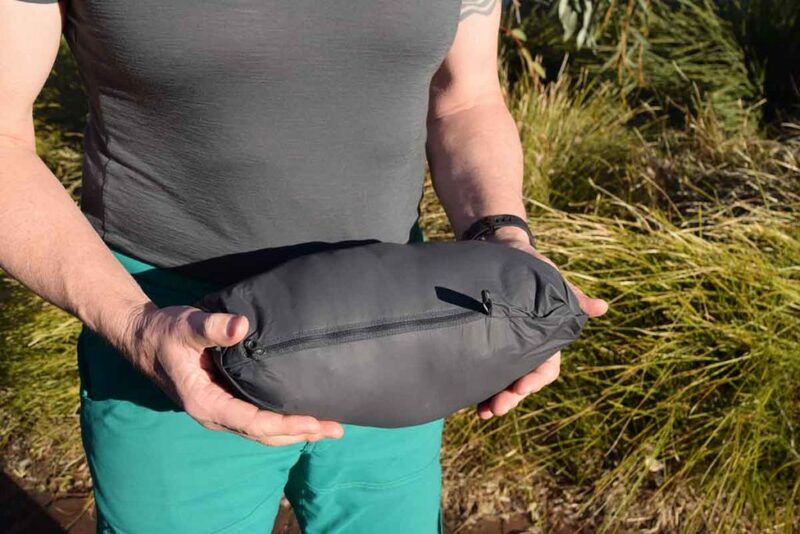 One final feature which didn’t really factor in my consideration is that this jacket folds into its own pocket meaning that you can have a neat package to put away. I usually just stuff this into my pack when I’m not wearing it and don’t bother with the self stow option. All in all I really like this lightweight jacket and wasn’t expecting it to supplant my beloved down option, but in this case it has. If you are looking for a synthetic lightweight jacket and the fit matches you this is a great option. The main downside just like most other high quality jackets is the price.